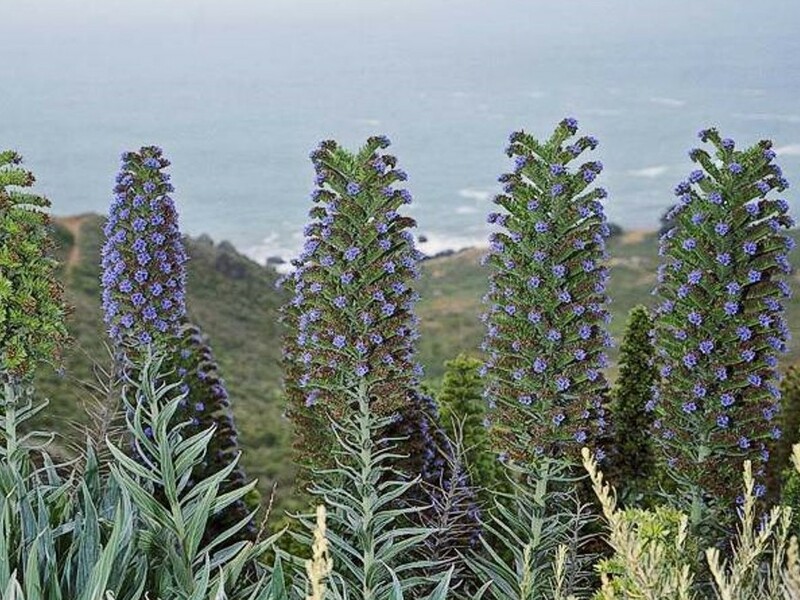 Echium candicans (pride-of-Madeira) is a shrub (family Boraginaceae) found along the central and south coast of California, and in the San Francisco Bay region. This native to Madeira and the Canary Islands inhabits open coastal bluffs and hillsides. Pride-of-Madeira is a common landscape ornamental requiring a summer source of moisture in inland areas, but can escape cultivation in coastal regions. Little is known about the biology or invasiveness of pride-of-Madeira, but it appears to spread slowly into established native plant communities.